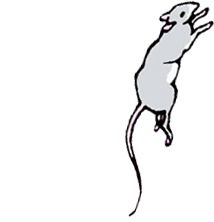 Bandaging pet rats? Difficult! They're squirmy, smarter than you, and possess strong teeth and feet muscles.These are examples of modified veterinarian bandaging that loosened up after a couple of days. These worked to extend coverage time, but just barely, or only briefly. Compare them to the good and problem bandages to get a feel for the goal you want to achieve. 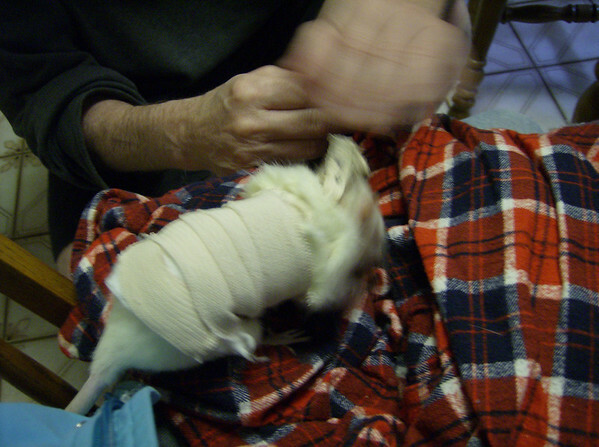 Example of a post op body wrap applied by a veterinarian on a rescued female who was spayed. Thanks to Karen Borga for photo of rescued rat.